Xinxiang Traceability Environmental Protection Equipment Co., Ltd.
Air Condiationer Radiator /Water Tank Radiator Stripper Radiator Aluminum Copper Separator Description of Air Condiationer Radiator /Water Tank Radiator Stripper Radiator Aluminum Copper Separator The Radiator recycle machine is a professional stripping machine for the scrap AC radiator, water tank radiator etc recycling. 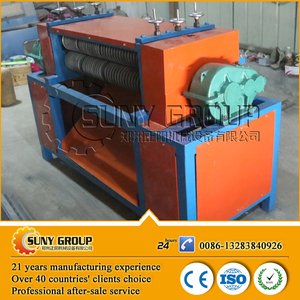 Processing radiator range: 19mm, 21mm, 25mm; Features Features of Air Condiationer Radiator /Water Tank Radiator Stripper Radiator Aluminum Copper Separator 1, Simple structure ,high processing rate, stable operation ; 2, No loose of the aluminum copper ; 3,Low Investment, large profit . Contact us If any interest in our Air Condiationer Radiator /Water Tank Radiator Stripper Radiator Aluminum Copper Separator , please feel free to contact us : Email: carriezhao at zzzyjx. The underflow is generally the denser or thicker fraction, while the overflow is the lighter or more fluid fraction. 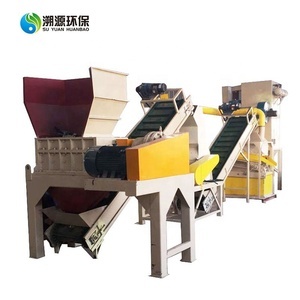 Hydrocyclone is widely used in closed circuit grinding operations but it also has many other applications, such as desliming, degritting, and thickening. 3.Platform Container 4.open top container Packaging Professional technical service Professional technical team provide optimum solutions and early stage laboratory tests. 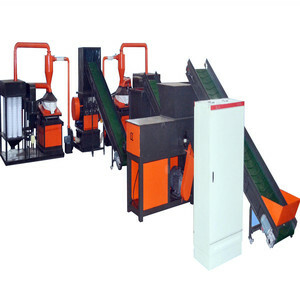 Shanghai Hongxun Machinery Co., Ltd. 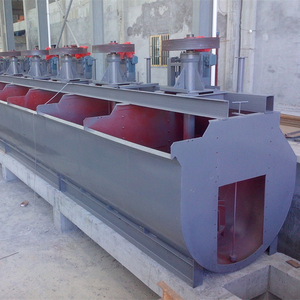 The design of separator and dust collector is handy for movement or transport. d. The separation rate of air separator can reach at least 99%. f. Customized service: Technical team design and produce the customized machine. 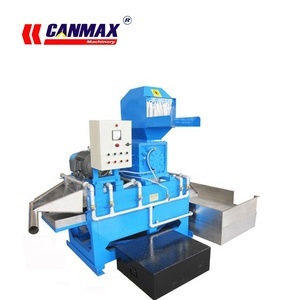 Shaking table could continuously sort concentrate ore,second grade ore and tails,it is very important ore sorting equipment. This feature protects the moving parts, reducing the operating and maintenance cost to minimum. 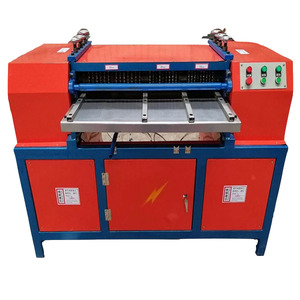 Our professional technicians will come to customer's site to install and debug the machines, and train the workers. 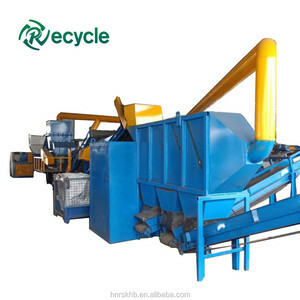 99.9% separation of copper & aluminium from radiators, scrap air conditoner radiator, car water tank recycling machine Introduction This Scrap Radiator Recycling Machine is specialized in recycling scrap radiators of air conditioners and car water tanks. It can separate copper and aluminum,iron after radiators are crushed. 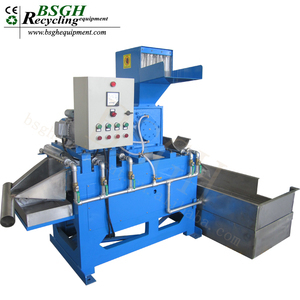 The separating rate can reach 99.9 %; This Scrap Radiator Recycling Machine consists of a Material Conveyor, a First Crusher, a Belt Conveyor, a Second Crusher, a Magnetic Separator with a Belt conveyor, a Vibrate Separator. 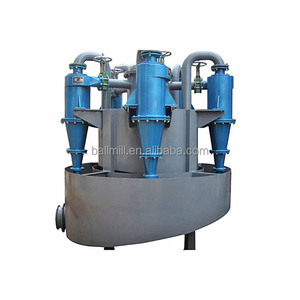 Alibaba.com offers 1,537 copper water separator products. About 7% of these are mineral separator, 1% are separation equipment, and 1% are water treatment. A wide variety of copper water separator options are available to you, such as gravity separator, sprial separator. You can also choose from free samples, paid samples. There are 1,457 copper water separator suppliers, mainly located in Asia. The top supplying country is China (Mainland), which supply 100% of copper water separator respectively. 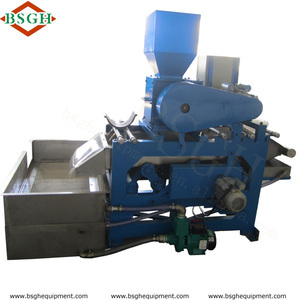 Copper water separator products are most popular in Domestic Market, Southeast Asia, and Africa. You can ensure product safety by selecting from certified suppliers, including 238 with ISO9001, 113 with Other, and 50 with ISO14001 certification.